Since launching back in September 2011, Google Plus has made a fairly big impact on the social media landscape. Not only does it incorporate some of the best features from other social media sites (Facebook and Twitter) but it also has its own unique features like Google Hangouts. It is this unique feature that we are going to take a closer look at, as many brands are now using it to conduct their business meetings. Here we will explain how to use Google Hangouts and why it is beneficial to conduct your business meetings using this relatively new platform. 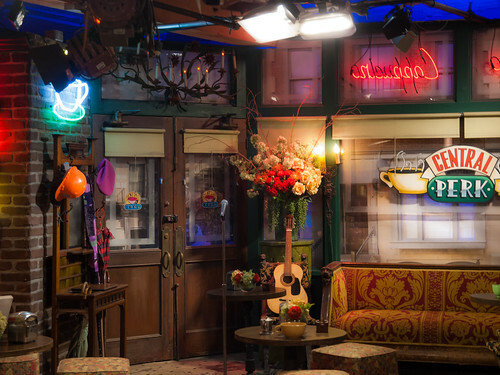 To get a better idea of what Google Hangout is, think of it as a virtual version of the Central Perk café in F.R.I.E.N.D.S! If you think about it, most communities and groups of friends have a designated place where they get together to socialise, discuss issues and connect. Basically Google Hangouts provides a virtual alternative to this ‘real life’ place. It is essentially a video chat room that enables users to participate in live video conferencing chats. Businesses can choose to ‘hang out’ with people in their circles or can even open up their chats to the public. Today everyone is using Google Hangouts to conduct meetings, from small, local brands to large corporations and even President Obama! If it’s good enough for the president of the United States, then surely it is good enough for your business? To set up business meetings via Google Hangouts, businesses simply need to go to their page and click ‘start a hangout.’ It is advised that you send an email out a few days before so that everyone knows what time they need to be sat in front of their computer screens. Those invited to your Hangouts can also add it to their Google Calendar so they will receive a notification and can join the meeting with just one mouse click ! Hangouts can either be conducted privately (the best option for internal business meetings) or publicly. Even NASA is using Google Hangouts to communicate ! Google Hangouts allows you to host business meetings with up to twenty people. It uses an intuitive screening functionality that ensures that the person who is speaking is automatically focused on. It also benefits from intelligent muting to prevent excess background noise from disturbing your virtual meeting. Businesses can now conduct their video conferencing calls in HD thanks to Google Hangouts and also have the benefit of being able to use a wide range of devices from desktop computers and laptops to digital tablets and even smartphones. This means that whether employees are in the office, at home or on the go, they can still take part in Google Hangouts business meetings. Nothing can beat the value of face-to-face communication, but let it be known, Google Hangouts comes extremely close! Whilst emailing and texting provides an instant form of communication, ideal for those wanting to get the message across quickly, this type of communication can often feel impersonal and it is easy for messages to get misinterpreted. Google Hangouts offers the best of both worlds, providing a place where people can interact face-to-face (albeit with a screen in front of them) and benefit from quick, easy and personalised communication. It is also said that over 90% of how we communicate is through non-verbal cues like facial expressions and hand gestures. Whilst these cannot be seen when a person is emailing or talking on the phone, they can be seen and considered by those using a video chat platform like Google Hangouts. You can limit access to your Hangouts, turn chat history off and even block users from participating using the advanced admin settings. 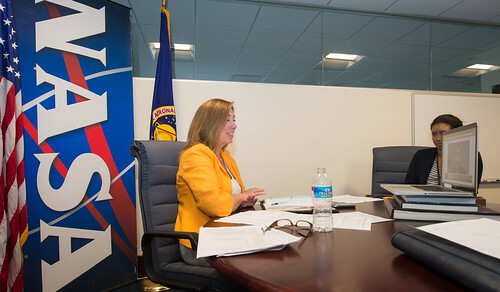 Using Google Hangouts, businesses can conduct low cost business meetings. One of the main benefits of using Google Hangouts for business meetings is that it allows employees from various different bases (whether they are spread across the country or the world) to connect. It saves business a significant amount of money as they no longer have to worry about covering travel costs or hire fees for conference rooms. You could also argue that Google Hangouts allows companies to conduct ‘greener’ business meetings, as they are not polluting the air with all of their vehicle fuel to get to the other side of the country for a business meeting. Google Plus also integrates with Google Docs and has fantastic features such as screen savings, live drawing and offers the ability to create slide show presentations. This means that employees at a company are able to collaborate more efficiently. Rather than having to send documents back and forth via email, they can simply conduct a business meeting using Google Hangouts and live edit their documents together. Another benefit of Google Hangouts is that it allows small businesses to conduct meetings for free. Yes, up to twenty people can now take part in a Google Hangout at no cost. With many businesses being run from the home, making use of virtual sales people and assistants, Google Hangouts provides a place where they can communicate and collaborate, just like they would if they were working from a traditional city based office. Google Hangouts gives businesses made up of strangers around the world a chance to put a face to a name. If you run a business from home using virtual sales assistants and other freelancers, using Google Hangouts to conduct meetings will allow you to get to know your workers better and help to strengthen your team. Google Hangouts provides companies with a quick, easy and inexpensive way to conduct business meetings. Whereas in the past they would have to spend time finding a central location for a conference and cover the cost of travel expenses, today they can simply connect via Google Plus and conduct their business meetings from wherever they are in the world.